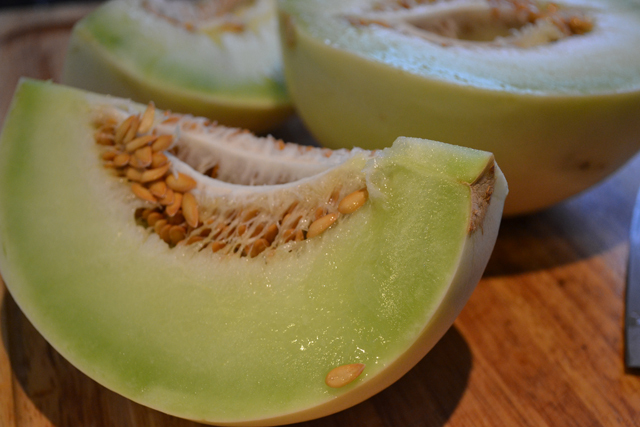 When I was growing up I would remember my dad eating melons (typically cantalope and honeydew) at night. He would cut them and throughout the week would eat the pieces slowly, one at a time, with a toothpick while watching TV. I think that has led to my love of melons, specifically honeydew melons. Since it has a roasty, toasty summer I have been trying to keep cool all the time so that I don’t hate my favorite season. I sure would love to eat ice cream all the time but that is just not going to happen so I have been loving mixing up sorbets. 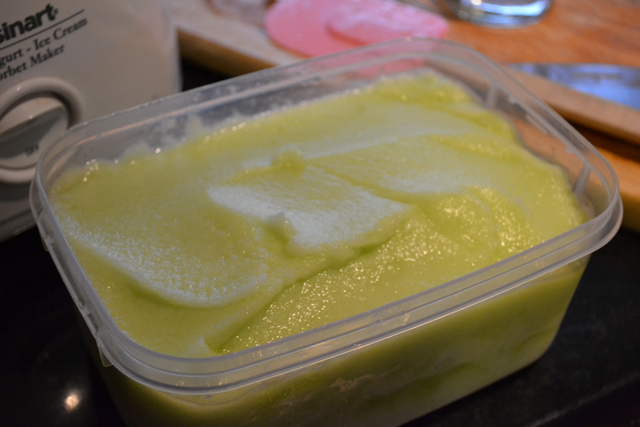 My newest favorite is honeydew sorbet. Bliss on a hot, steamy night. 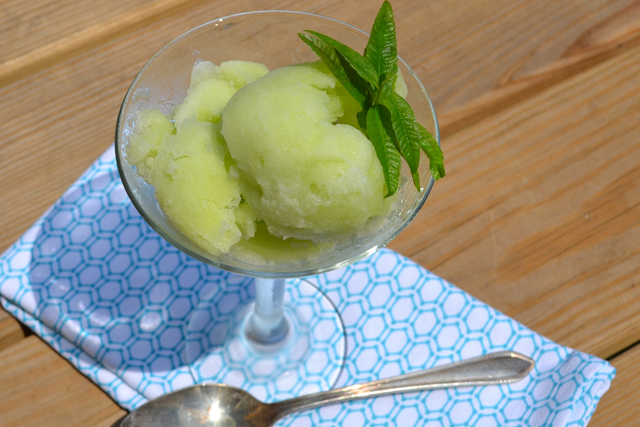 Honeydew melon sorbet lets the flavors of the honeydew melon shine through. The simple syrup just sweetens and brightens up the natural flavors. I like to add a bit of lime or lemon to mellow out that sweetness and enhance the flavors as well, similar to adding a bit of salt to a tomato. It just works! To keep with the citrus flavors, I like to garnish the melon with a bit of lemon verbena instead of mint. Dig in and cool off! Cut the honeydew into small pieces. 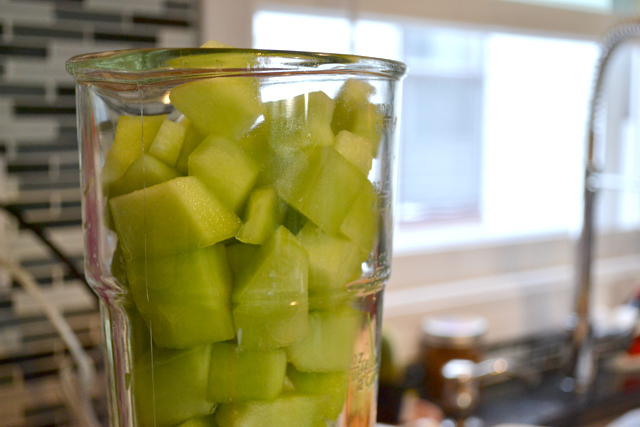 Blend the honeydew until it a very smooth consisency. Blend the melon until you have 3 cups of puree. 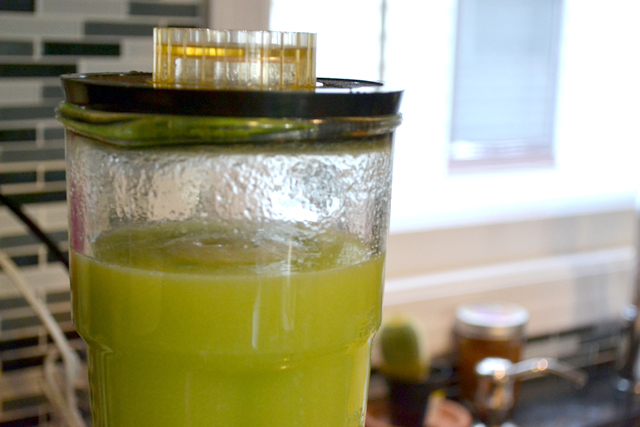 Add the simple syrup and juice of the lime to the3 cups of puree and blend to combine the ingredients. Chill the mixture for at least 30 minutes. 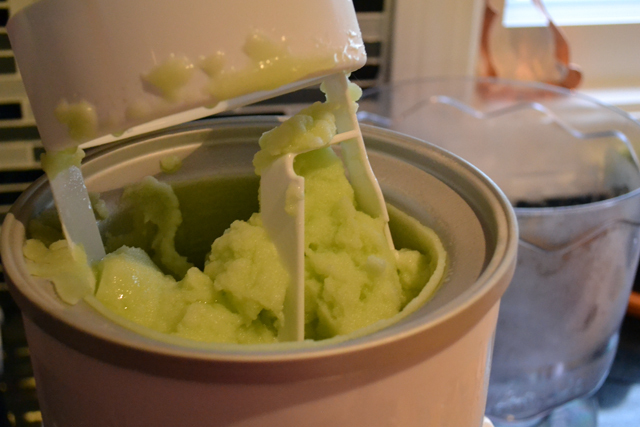 Pour the honeydew puree mixture into your frozen ice cream make bowl and follow your ice cream maker’s directions to process the sorbet. 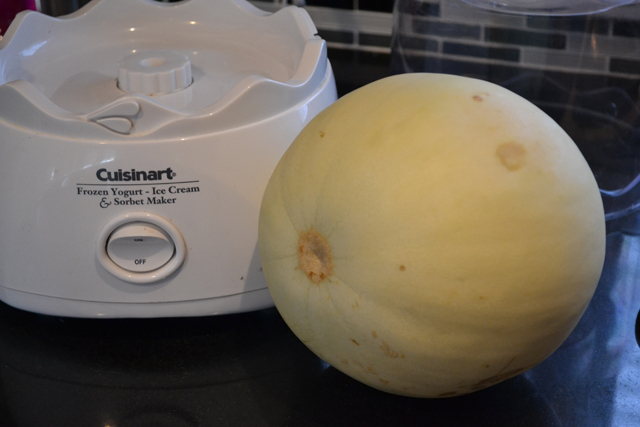 Check out my other sorbet recipes! I love the color! I *hate* honeydew though but I could go for cantaloupe sorbet!